Welcome to the Pokémon League! You've struggled long and hard to get here, and your efforts are about to bare fruit. There are five more battles standing between you and the Pokémon League Championship, each of them more difficult than anything you've faced before. Are you ready to bring the League to its knees? 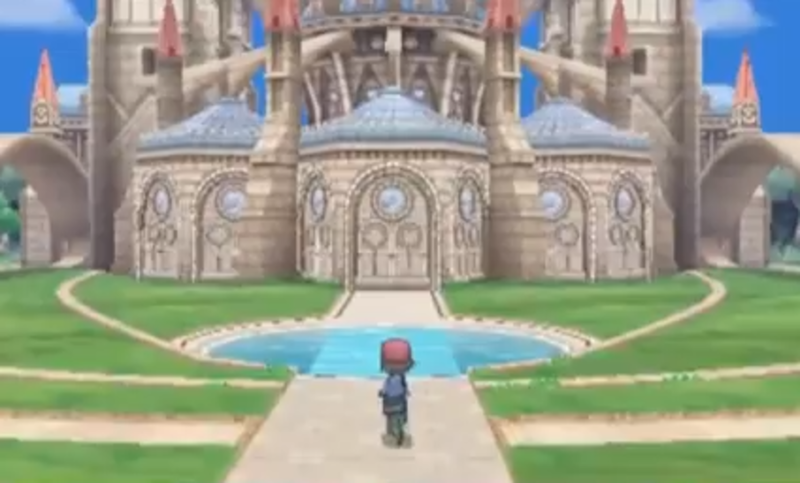 Aside from a Pokémon Center out front, the League itself consists of an enormous castle. Enter the castle and, eventually, you'll find your way to a non-descript room with four rooms. Each of these rooms contains a member of the Elite Four. You can fight them in any order you wish, using the colour of the balconies over their doors as a guide: grey for Wikstrom, red for Malva, purple for Drasna, and blue for Siebold. (Thanks to Samuel03 for pointing out the colours.) You must defeat all four Elite Four members before you can advance to the final battle against the Champion. Not the strongest start in the world for Wikstrom. Klefki is largely there to set up Spikes to hurt your pokémon throughout the match. Beyond that, it loves to use Flash Cannon, which only really hurts ice- and fairy-types. Bring out a fire-type and you can fry Klefki easily. Anything with a special attack that can bypass steel (water, for example - gotta love Surf) shouldn't have a difficult time either. A bizarre creature to the end, Probopass is all over the place. Earth Power, Discharge, Flash Cannon... it can put a decent hurt on most of your pokémon, but it's not that great at dominating in any respect. It's also painfully slow. The only real difficulty here is picking a move type that will hurt it badly, and, again, your best choice is water. Surf! Try to use a move that targets Special Defense, at any rate - Probopass is very durable. If you haven't faced an Aegislash yet (not likely, unless you own one) you're in for a weird experience. It's capable of switching between two formes, one defensive (it always starts here) and one offensive. Its attack and defense stats swap accordingly. Your best bet is to bring out a pokémon it will happily attack - say, something it can hit with Shadow Claw - and force it to transform. Thereafter it will be both slow and vulnerable to just about any attack, so long as you don't try normal- or fighting-type moves. Quite the offensive wonder, Scizor is both fast and strong. It likes to use strong moves like Iron Head to bring your team's HP down, then finished them off with a Bullet Punch which will virtually always go first. On the plus side, Scizor is not that great against special attacks, and it is downright atrocious if you happen to have a fire-type user on your team. Use a fire-type move of almost every kind and you'll severely damage Scizor. Wooo! Pyroar is most annoying as a debuffer, thanks largely to Noble Roar which will lower your pokemon's Attack and Special Attack stats. It then tends to try to Hyper Voice you into oblivion, though not with a ton of luck. Pretty straightforward, really; water- or fighting-type moves will bring Pyroar down. Just be sure to swap out any pokémon hit by Noble Roar, as they will be substantially weaker attackers. What a pain. This Torkoal is similar to one you fought on Victory Road in that it likes to use Earthquake most of the time, but the caveat is that it will use Curse multiple times to power up before it swaps to Earthquake. By then it will be so strong that Earthquake will level just about anything. A special water-type move is ideal, or, if you hit it early, a very strong ground-type move... like Earthquake. This fight is likely to be short and painful. Talonflame loves Brave Bird, and will use it over and over again, depleting its own health a little each time while massacring yours. I highly suggest bringing in a rock-type to rebuff the effects of Brave Bird and Stone Edging it to death. Unless you're confident in the speed of your pokémon, I don't suggest something with a low Defense. Talonflame is very frail, so one or two hits at most should do it. Try not to use physical attacks! Flame Body is a very annoying ability! Ow. Though it's hardly durable, Chandelure can mow through your team with a combination of Confuse Ray and several powerful attacks, including Flamethrower and Shadow Ball, both of which receive STAB damage. A strong, very fast water-type is recommended for this fight, as Chandelure doesn't really have anything with which to combat water-types. Dark-types aren't bad either - indeed, Houndoom might be one of the best choices for this Chandelure. Oddly-typed, to be sure, but potent enough. Dragalge is an offensive pokémon, and it likes to use a combo of Dragon Pulse and Thunderbolt to damage enemies. Surf comes out occasionally, as well, depending on who you send out, but not as often as the other two moves. Ground isn't a bad choice, nor is another dragon. Be careful deploying a fairy-type - it is part poison, after all. Hey, look, Dragon Pulse. What a surprise. Altaria also likes to bust out Sing, which has a fifty-fifty chance of putting your pokémon to sleep. Annoying, but not a deal breaker. The only thing it can do effectively is stall with Cotton Guard; otherwise, a pushover for most of your battlers. Ice will maul Altaria. Straight-up destructive power. Druddigon will use a series of physical attacks to wipe you out, and perhaps its most destructive is Revenge, as you'll usually need more than one hit to wipe it out. Stick to special attacks that will bypass its less stellar Special Defense. Super Fang? Don't see that too often on an Elite Four pokémon, but Noivern uses it to great effect in weakening your team. 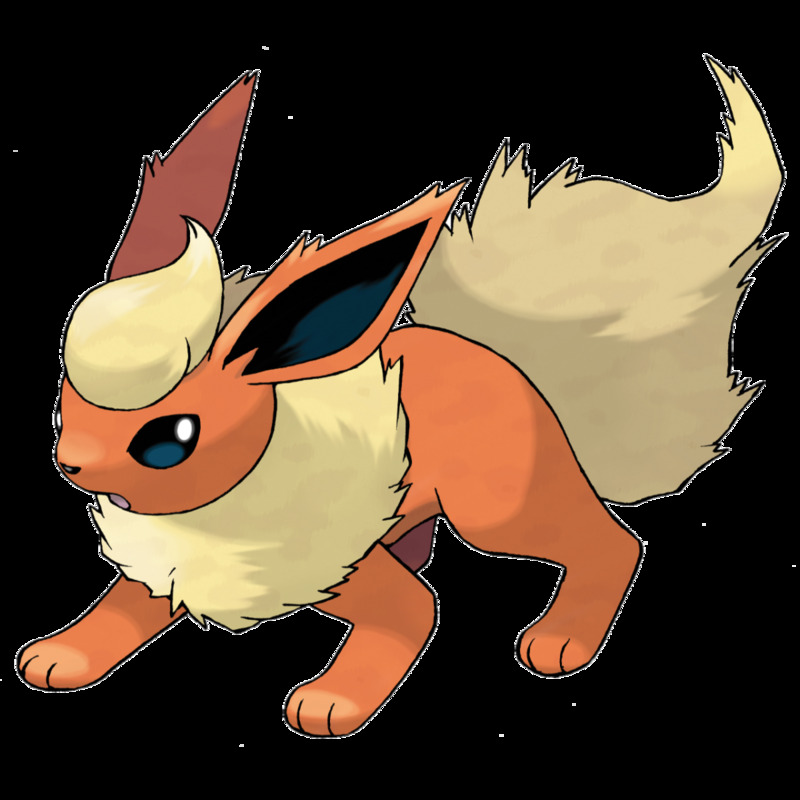 It's also a big fan of Dragon Pulse, and is fast enough to outspeed most of your pokémon unless you're at a substantially higher level. Rock-type moves will batter its head, and dragon is always an option, though sending out another dragon that's not very fast is risky. Ice will decimate Noivern, even more thoroughly than Altaria. Clawitzer seems straightforward, but it can surprise you with Dark Pulse, Dragon Pulse and Aura Sphere, hitting reasonably hard with all three. It's also no slouch in its native water-type attacking with Water Pulse, which may confuse your pokémon. Fortunately, Clawitzer is not that durable, and you can usually wipe it out in one or two hits. It's also slow, so try and get it before it can target one of your weaknesses. Surf, Surf, Surf. Starmie loves to use Surf, and it's good at it. It's also good at using Light Screen to buffer your special attacks, which, in its own way, can be more troublesome than Surf. Starmie is quite fast, so you're probably better off deploying a pokémon that can resist water-type attacks and has lots of HP. Wipe this thing out in one hit with a dark-type move, preferably - it's not that buff. Be careful not to deploy the wrong pokémon, as it's got Dazzling Gleam and can do plenty of damage with it. Bring out electricity and this fight is a piece of cake. Fail to do so and it gets trickier. Gyarados has a lot of hard-hitting moves - Earthquake and Waterfall are the meanest, though Ice Fang is no slouch either - and it's quite happy to use them. The pain they cause gets exponentially worse the more it uses Dragon Dance. Take it out very quickly, before it can use Dragon Dance too many times, or you may not be able to handle Gyarados. Again, a solid electric-type move is your best bet. Siebold rounds out the fight with a strictly-physical pokémon. Barbaracle is good at taking hits, and it can dish out a substantial amount of damage with Cross Chop, Razor Shell, and the all-powerful Stone Edge. Nevertheless, it's probably one of his easier pokémon to defeat thanks to a four-times weakness to grass-type moves, as wll as a relatively low speed. It's also lacking in substantial moves which can stop grass-types. Barring that, electricity isn't bad, nor are special attacks in general. Beat the Elite Four and the door at the end of the room will open... and beyond... the Champion. Heal up, then head in and take her on! 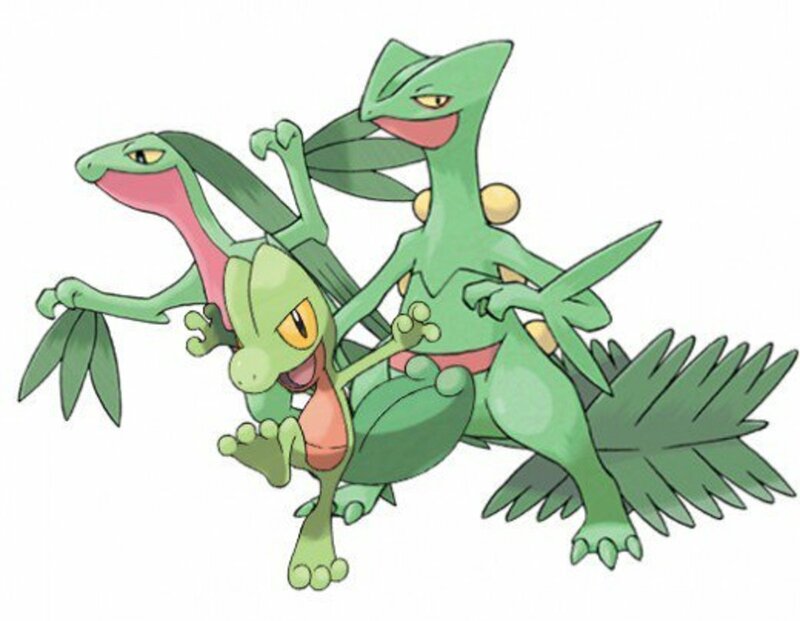 They've been strong before; no reason to think the Champion's Hawlucha will be any different. This gal likes to beef up first with Swords Dance before unleashing a strong assault with moves like Flying Press, which really, really hurts, even if it's not super effective. Fortunately, Hawlucha suffers from a so-so Speed and fairly terrible Special Defense. Psychic- and electric-type moves are great for wiping it out quickly. It has a few attacks - Dragon Claw is a good example of something to avoid - but in most cases Tyrantrum will use Head Smash over and over until your pokémon goes splat. (Which it usually will. Head Smash is painful.) Tyrantrum is burdened to a quadruple weakness against ice-type moves, though, and will crumble into dust if you bring out, say, Ice Beam. It also has a poor Special Defense in general, so most fairy-type moves, as well as something neutral like Surf, will shatter Tyrantrum. Aurorus is the team's buffer. It will use Reflect and Light Screen to bolster its side, then try to hit you with relatively weak Thunder blasts. Fighting-type moves are fantastic against this pokémon; ideally, you'll want to use Brick Break to rip down the defenses it has set up to protect the rest of its team. Though it seems like one of the lesser pokémon in Diantha's arsenal, don't underestimate Gourgeist. It can use the move Trick-or-Treat, which turns one of your pokémon into a ghost-type, assuming it wasn't one already. It will then follow up with Phantom Force for a very quick kill. You want to launch a powerful attack at it immediately. Fire is good, as are other ghost-type moves. Goodra has some excellent defenses, and it's quite good at attacking its fellow dragons, even if it's a bit slow in the process. It's also good at surprising your side with Muddy Water, which is quite powerful. Most other dragons are faster than it, so you're fairly safe sending one out... but, again, only if it's a reasonably-fast dragon, and preferably one with a very strong dragon-type move, such as Outrage. Always the last pokémon on Diantha's team to rear its head, Gardevoir will begin the battle by evolving into Mega Gardevoir. This will turn it into a swift, powerful dragon- and dark-type killer with Moonblast. It's also no slouch against other foes with its high Special Attack stat, particularly if it uses Shadow Ball. Fortunately, Gardevoir is NOT very good against steel-type pokémon, and you'll probably have at least one of those kicking around. The only weakness covered between the two types is bug; otherwise, you can target as you please and bring it down. Use physical moves, since its Defense is not that great. Strong, but hardly invincible. Oh, one more battle? Sure, why not. You just beat the Champion. This guy's not bad, but... y'know. You'll be fine. Okay. Now the credits roll. Woo! Most things in the post-game belong in their own articles. Nevertheless, there are a few small items that will fit nicely here. 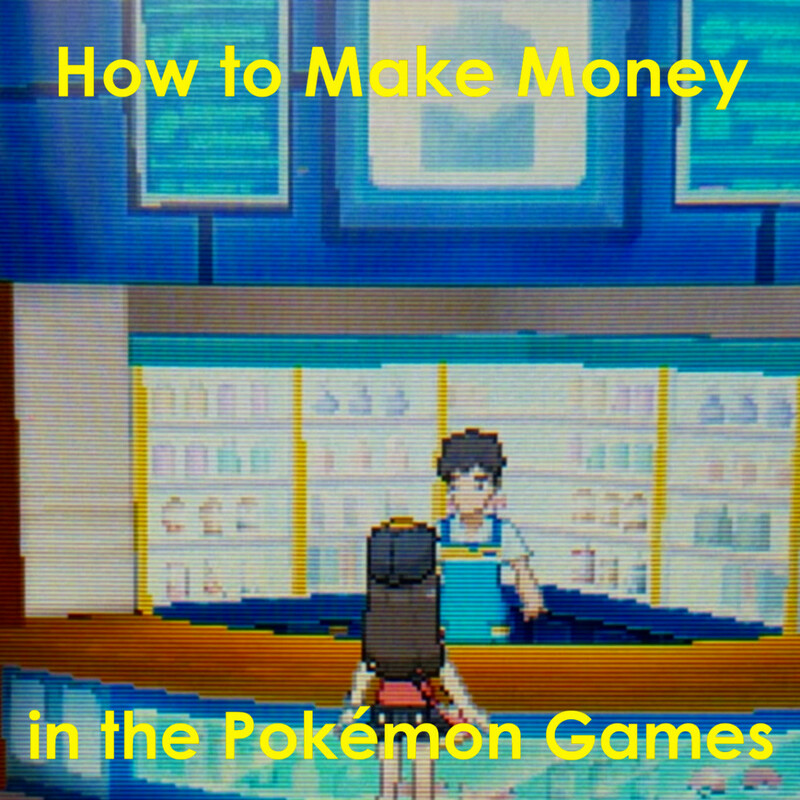 - Fly out to Lumiose City and have a look in Lumiose Station, on the North Boulevard. (Just take a cab. It's so much faster, and you surely have the money to spare now.) When you set foot inside, Sycamore's two assistants will upgrade your Pokedex to the National Pokedex, allowing you to catch any pokémon that has ever existed. Neat. - Speaking of Sycamore, he's standing on the platform in Lumiose Station. He'll give you a TMV Pass for Kiloude City, the only city on the map which you haven't yet visited. Ooooo! - Back in Lumiose, head for the Pokémon Lab. Speak to the scientist by the fancy control panel on the second floor and he'll give you a Poke Radar. This handy device will allow you to track pokémon in clumps of grass or flowers. Needless to say I had an easy time until the the last of the 4, since I didn't have any Electric in my line up, but it wasn't so bad. I ended up using all of my revives after the last of the 4, (I'd only had 3) and I was down to like 4 full heals and one max potion, and shaking in my boots about the champion, as I had just barely beaten the last of the 4. But it turned out well in the end. With a little bit of Theo thrown in for her OHKO fire specials. I still had 2 full heals left, in the end. what do you think the best team to beat the E4 and champion. I like to make a new team after I beat the champion. The team that beat her the first time ( In my game ) was: Geninja LvL 65, Blazikein LvL 65, Venesaur LvL 65, Pigeot LvL 65, ( Gotta have the classics. ) Lucario LvL 70 and Arorous LvL 65. Loved Lucario a bit too much. Sorry if my spelling is bad. Not my best subject! Hey! Noivern also knows Flamethrower! It used it on my Abomasnow! Please tell me thanks!!! I never fight an elite four before. Should I use water , fire,grass ,and two lengedary Pokémon and flying? What pokémon should i uses? To fight the elite 4. I used a level 85 Mega Blaziken with Brave Bird, Power Up Punch, Blast Burn, and Fire Pledge. I screwed up and went in without an electric type, but I beat them on my first try anyway? Stock up on lots of healing items. Also you can catch mewtwo in the pokevillage cave. Small mistake, but Malva's talonflame is actually at level 65. Elite 4 is terrible, I mean 4 pkmn each? And a klefki?? What happened to them having intimidating top of the line pokémon like in red/blue and gold/silver. Those were the true elite 4s. Hawlucha also uses X-scissor (which is the only move it has that can hit opposing Aegislashes, as it's immune to both Flying Press and Poison Jab). Also also, as to Mr. Johnson's comment, Aegislash cannot Fighting-type moves unless Odor Sleuth or Foresight has been used, or the Pokémon using it has the ability Scrappy (which is likely what happened). Finally, don't know if I mentioned it in previous posts, but great job Matt, and thanks! Anyone notice that your pokémon don't get any experience when battling AZ?? You made two mistakes on Malva and Wikstrom.Talonflame is level 65 for Malva.Aegislash is level 65 for Wikstrom.Hope you don't make this mistake again MattWritestuff. hawlucha has poison jab. scared me a bit as i had sent out my sylveon lmao. You got an error with Wikstrom's aegislash. Fighting attacks will be able to hit it and it will be super effective! 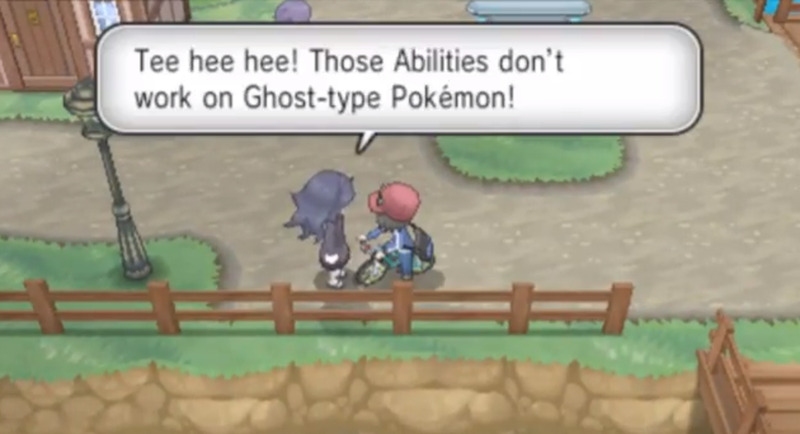 Most people don't relise this, as fighting type attacks do not affect ghost types at all. Very helpful, thank you! While I was fighting Chandelure, I brought out my Slowbro. It couldn't affect me with confuse ray, and surf wiped it out completely! Hawlucha used some kind of poison move on my Charizard. Not sure what it was as I looked away when it said the move but it looked like a bunch of small purple projectiles that poisoned my Charizard. Didn't see anything mentioned that could be it. Forgot to mention: You get Mewtwonite there two!!!!! Fly to Snow-belle city and go t the winding woods, then get to the place you met the Snow-belle gym leader and walk straight, then surf and there is a dungeon you can't enter before you've won over the elite four and the champion. There you can catch Mewtwo! 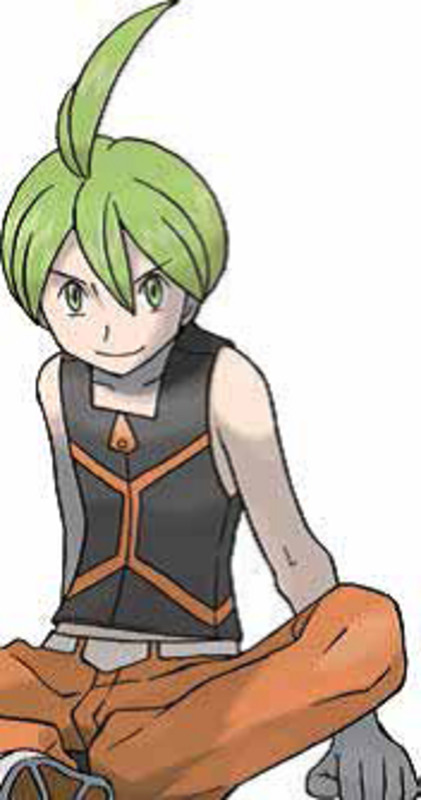 Fire Pledge all Wikstrom's, Water Pledge all Malva's, Dazzling Gleam all Drasna's, Thunderbolt all Siebold's. On the Champ Thunderbolt on Hawlucha, Dazzling Gleam on Tyrantrum and Goodra, Fire Pledge on Aurorus and Gourgeist, finish Gardevoir with Shadow Ball. You can wipe the floor with just 3 Pokémon. Gengar taught Thunderbolt and Dazzling Gleam also Shadow Ball will wipe Mega Gardevoir out, a fire type I used Charizard and Fire Pledge and a water type I used Blastoise and Water Pledge. Damn, I do, too. I was cutting and pasting them all over the place when I first wrote this so I guess I got them mixed up at some point. Sorry about that. You have the rooms for the Steel and Fire Trainers switched, I totally almost walked into the Fire room prepared for Steel. I believe gardevoir knows psychic. Also, gourgeist CANNOT make a quick kill; phantom force is horrible. Hawlucha can easily be killed by flying type moves too. Goodra also has Fire Blast. This post really seemed to help. Breezed past elite four with my eeveeloution line up. Vaporeon for malva, jolteon for siebold, flareon on wikstrom and sylveon on drasna. Champ wasn't to difficult either. 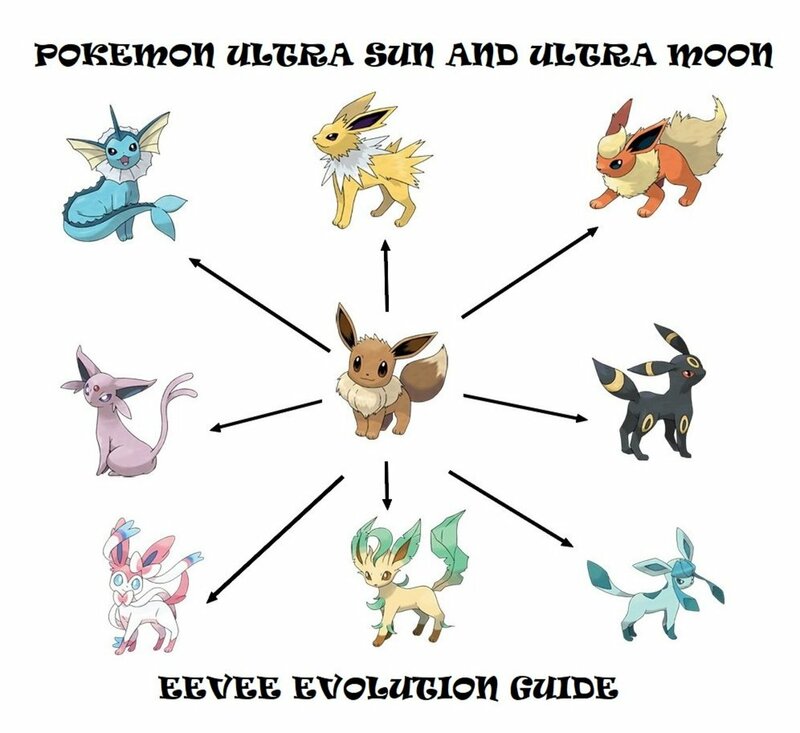 I am very disappointed that they only made four legendary pokémon available during the whole game. Soulsilver had more than ten! Yeah. 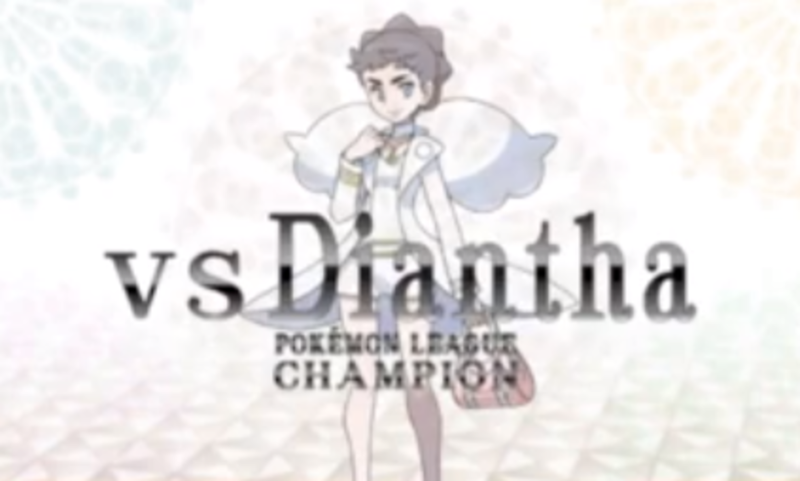 I was a little disappointed with the Elite Four and the Champion this time around. I like the Exp. Share mechanic well enough, but it makes your team waaaaaay too powerful by the end of the game. I probably could've wiped the floor with all five trainers on my first try, but I was trying too hard to see all the moves for each pokémon and got my team beaten a few times. But, you know, have to make the battles sound a little exciting in the descriptions. One could very easily defeat the entire E4 and champion with a Lapras (with the HM moves, Thunderbolt, and Ice Beam) and a decent Fire or Fighting type. Fine, I'll reevaluate the Hawlucha. It went up against my Tyrantrum when I first fought the thing, though, and it's easily the slowest pokémon on my team. just beat them all thanks matt couldn't have done it without your insight. Holy crap, you have got to be kidding! Hawlucha suffers from so-so speed? It has 118 base speed! That is not so-so speed. That was way to easy. Expected a big fight or something. Having a Pokémon with their weakness and having it i. The mid-70s wipes that person clean. The Champion is a big push-over too. She didn't even use a HyperPotion. 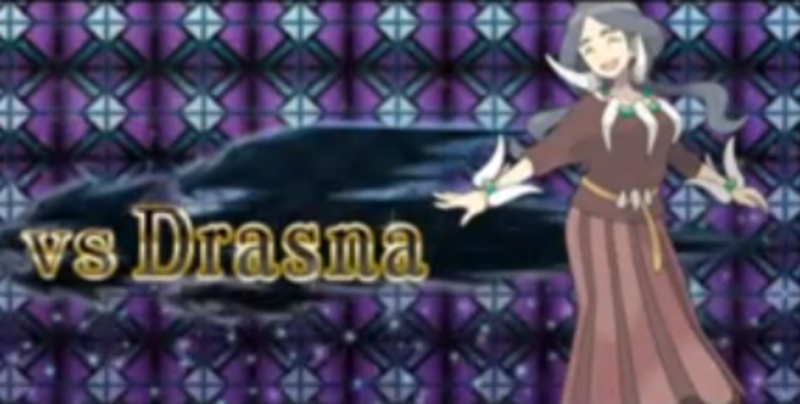 actually i wiped the floor with drasna using my xerneas, moonblast is such a good move when it comes to dragon types. Thanks. I figured it was Water Pulse or Surf. Kind of ironic that I couldn't get the dedicated water-type to use a stupid water-type move. Is it true you can't go to the Pokémon Center during the whole league challenge? I'm so scared to battle the elite 4. That was so helpful!!! Thanks a lot!! Huh. I didn't notice that at all. Better stick that in. Thanks! There is one way to find out which elite four is in which room. You see, Above the doors is a little balcony looking thing and each balcony is painted with a different color: Purple for dragon, Gray for steel, Blue for water and Red for fire. Hope this helps!! Oooo, that's a good one. Thanks. I'm a bit burnt out on Pokémon tonight after slogging through Victory Road and the Champion battle, but I'll verify that tomorrow and stick it in. Haven't done much of anything on the post-game content yet. Another after the game fact: If you go to the cafe in Lumiose where you initially met Diantha (on South Boulevard across from the gate to route 5), she'll trade you a Ralts just like Shauna does. Might not seem special but the Ralts she gives you is carrying Gardevoirite.